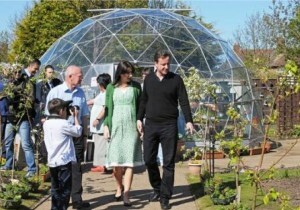 Grange Park residents recognised for their ‘Beautiful Blackpool’ community garden. At the heart of the Grange Park Estate in Blackpool lies an oasis of calm and beauty. This previously neglected wasteland has been transformed into a community garden where everyone can come together to relax and grow plants, fruit and vegetables. 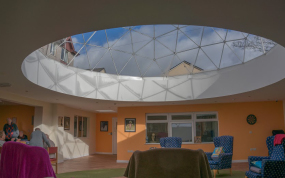 The garden features a SOLARDOME® Retreat which is used to nurture tender plants and as a central shelter and social meeting area for the community. In 2010, the residents who initiated the project received a special ‘Beautiful Blackpool’ award as part of a competition run by Blackpool Civic Trust to promote green spaces in the area.